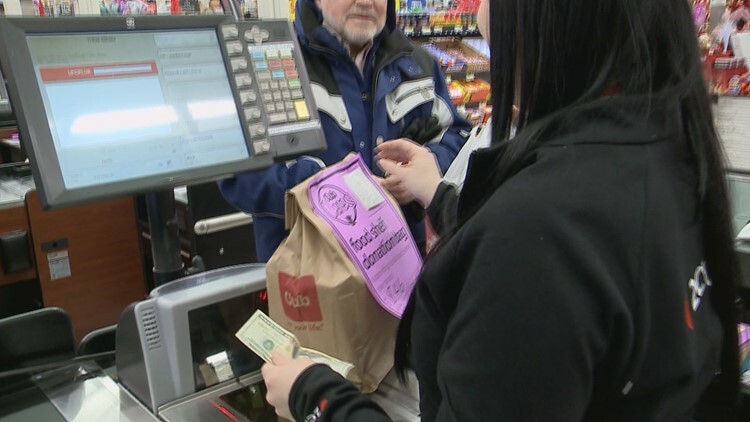 KARE 11's Alicia Lewis and Cub Foods teamed up to buy groceries for some unsuspecting shoppers. CRYSTAL, Minn — Random Acts of Kindness Week is here, and we wanted to spread kindness to as many people as we could. We decided to go to the Cub Foods store in Crystal and not only help people bag groceries, but also pay for people's groceries as well. People were genuinely shocked! One woman told us she wasn't sure she could afford groceries this week. She was brought to tears after we told her she didn't have to worry about that this week. Some people even paid it forward by buying groceries for a local food pantry. After receiving his groceries for free, a man pays it forward by purchasing food for a local pantry. We're hoping our random acts of kindness will encourage others to pay it forward. Let us know how you're spreading the love on social media using #sunrisers!